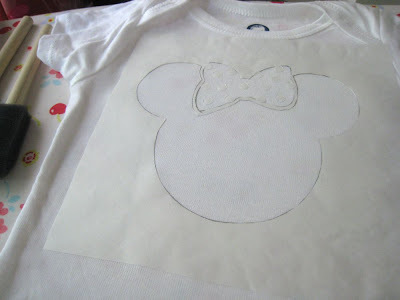 Freezer Paper Stencils, yes, another tutorial. I got my freezer paper at Wal-Mart for $5, it’s a HUGE roll and looks like it will last til I’m about 89 or so. 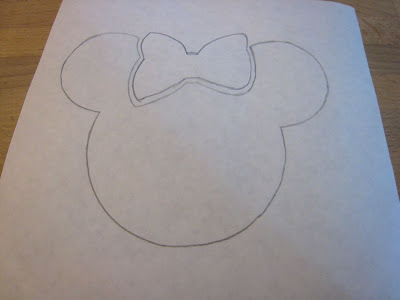 First you draw or trace your design on the papery side. 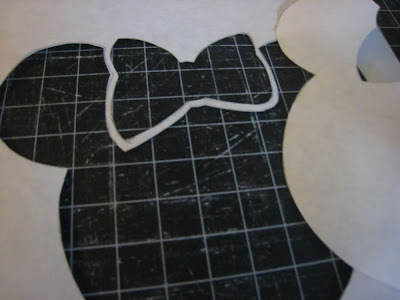 (one side is shiny, the other is paper) I did my Minnie Mouse head with a jar lid and a ribbon spool. haha. Then I cut it out with my Exact-o knife. Then, paint! I used Tulip fabric paint, which says it does not need any heat setting on their website, so they’d better be right! I did two coats, and the trick I used was to paint in from the paper, so you’re not smushing the paint under the paper. It creates a clean line pretty well though. Let the paint dry, and pull the stencil off! (the most fun part!) Admire. Try not to notice the tiny speck where it leaked through. 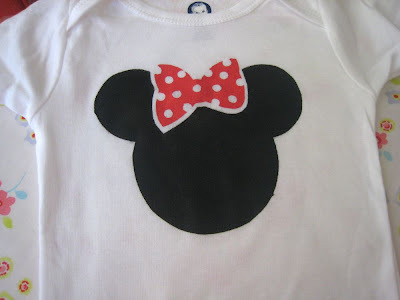 Now…who can guess the theme for Sadie’s first birthday party? Nope, no residue! Just don’t accidentally mix up your heat n’ bond with the freezer paper. Like I did. I love freezer paper. I discovered it a few months ago. The kids made St.Patrick’s Day shirts. You can even buy a clear paint with glitter in it. It gives it a cool effect. Great job with the tutorial Jessica. 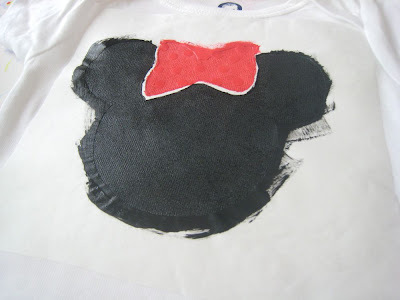 Minnie Mouse turned out so cute. CUTE, CUTE, CUTE!!! those turned out so dang cute!!! i love ’em you’re just so crafty! LOVE IT!!! You did very good!! Love this idea! Adorable! I learned something new today! That’s a good day!